Though rugged enough for most Land-based and Shipboard Applications, the MRD-1810 10.4” rugged LCD is versatile, as well. With provisions for Color or Monochrome factory setup Inputs and RS170 / RS343 Video Operation, the MRD-1810 COTS LCD Monitors allow for easy insertion into legacy technologies and reduces obsolescence risks. Though rugged enough for most Land-based vehicle and Shipboard Applications, the MRD-1810 10.4” rugged LCD is versatile, as well. Though rugged enough for most Land-based vehicle and Shipboard Applications, the MRD-1810 10.4” rugged LCD is versatile, as well. With provisions for Color or Monochrome Inputs and RS170 / RS343 Video Operation, the MRD-1810 COTS 10.4 inch LCD Monitors provides easy insertion into legacy technologies and reduces obsolescence risks. 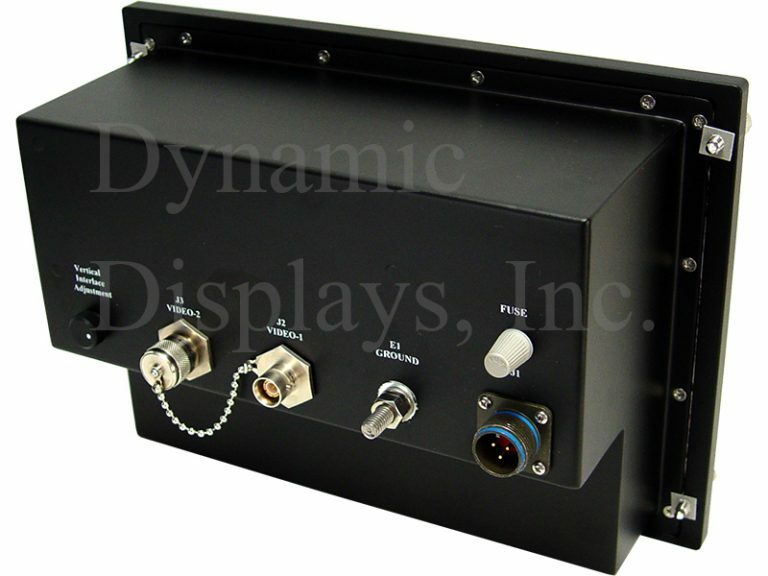 Our Military Rugged Displays (MRD) are designed with rigorous shock and vibration safeguards, high moisture safeguards, provisions for extreme temperature operation, as well as Electromagnetic Environmental Interference protection for use in extremely harsh weather conditions found in many Military Applications. These premium displays accept the analog monochrome RS-170 and RS-343 Video input signal format on a single BNC and feature differential input capability for high common mode noise rejection for greatly increased electronic noise immunity and reduced electronic emissions. Target application platforms for the MRD-1810 Series COTS Military LCD Display include: Aircraft Simulator Displays, Ground Vehicles, and Mobile Shelters, Military & Aerospace Displays, Surface Ships, US Navy Aircraft Traffic, US Navy AN-UYQ-70 Tactical Workstation. 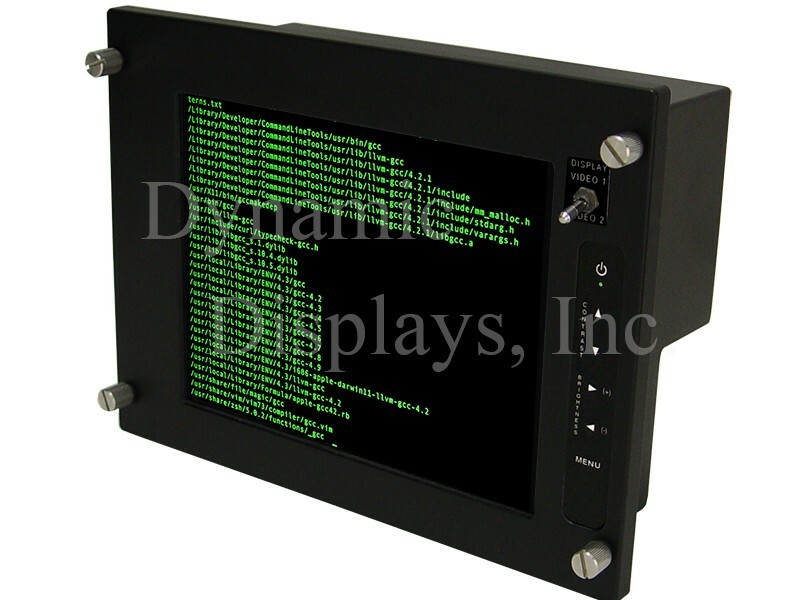 10.4 In MIL-SPEC COTS Rugged LCD Display - Rear View. 10.4 In SVGA TFT LCD Display with Solid State LED Backlight. High Bright TFT Display: 1500 Nits. Wide Viewing Angle: 80R/80L – 60U/80L. Analog Sync On Green (SOG) - Composite Sync. Color or Monochrome Operation - Factory Setup. NEMA 4/12 & IP65 Front Panel – Panel Mount. Custom Designs Based on Customer’s Exact Needs. Differential Monochrome Video Input for Enhanced Noise Immunity.